Our family-run firm of Funeral Directors in Thorpe-le-Soken has built a reputation for compassionate and considerate funerals. Let us take care of your requirements, helping you to remember your loved one in the best way possible whilst giving you peace of mind. We are here to support you, whether you prefer to visit us in person, chat to us over the phone or would like our team of Matt, Roy and Christine to come to you. Please call us at our High Street branch on 01255 860400 or out of normal working hours on our emergency number 01206 868585. You can also read our helpful step-by-step guide here. 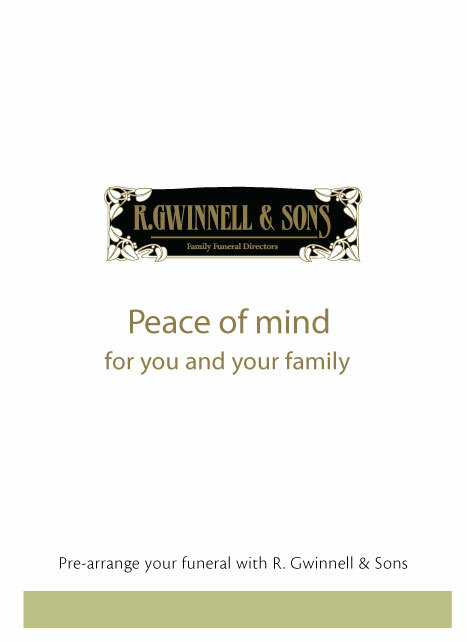 R. Gwinnell & Sons Funeral Directors in Thorpe-le-Soken also serve surrounding towns and villages including Frating, Frinton, Great Bentley, Great Bromley, Little Bentley, Little Bromley, Tendring, Walton and Weeley.